Fans of the Divergent series by #1 New York Times bestselling author Veronica Roth will be excited by “Four: The Traitor,” the fourth of four stories, each between fifty and seventy-five pages long, set in the world of Divergent and told from Tobias’s point of view. 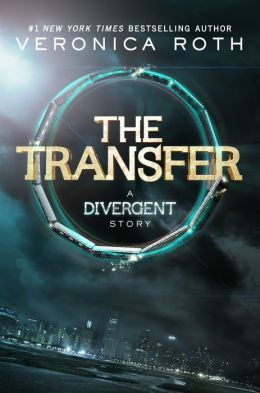 “The Traitor” takes place two years after “The Son” and runs parallel with the early events in Divergent. 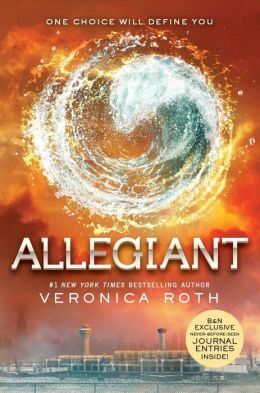 In this robust story, readers follow Tobias as he uncovers the details of an Erudite plan that could threaten the faction system, and makes plans of his own to keep Abnegation safe. At the same time, Tobias is getting to know a new transfer initiate: Tris Prior. We finally sync up with Divergent, and it’s nice to see what’s going on from Four’s POV. In this last novella, we’re seeing the beginnings of the relationship between the 2 of them, and it’s nice to see that the tension that i perceived from the bigger book is real from Four’s side. The interesting thing here is that we don’t see the day to day of Four as the initiate trainer, we see the day to day of Four the Dauntless, who’s trying to figure out what’s going on and what that means for the future. Again, like i said in the last one, i don’t think that i realized the extent of Four and his mom’s interactions just based on the series alone, so this gives things a new meaning, and maybe the next time i re-read the series, i’ll look at it in a different light. What these novellas do for me though is makes me wonder if we’ll get more since we’re just getting into the first book here -and not even the meat of the first book. i feel like there’s def more to come that we could get into, and i would love it if Ms. Roth gave us what we want. It’s been a while since i read the first book from Four’s POV and this was a nice one. I think that it’s nothing of a surprise, but i think that part of what we love about this series is that we get a lot of the backstory where it’s necessary and this is exactly that. We’re at the end of Four’s initiation period, and we see what he struggles with but internally and with trying to make it through to be Dauntless – and it’s a tough journey. One of the nice things here is to see how he begins to relate to others differently because he’s choosing to open himself up to what the Dauntless do, and i don’t know if i’m alone here, but i would have loved to see something between him and Shauna, even for a minute. The other great thing is that we see that the dynamic between him and Eric isn’t just because Four was #1, there’s more to it that Four began to see early on and it lays the groundwork for the first installment of the series. Enjoy! I’ve read the book now 4 times and I have seen the movie twice, so i think that it’s fair for me to do a little comparison and see what you guys think too. I have to start off by saying that in the realm of books being made into movies, this is one of the better ones – especially in the genre. I really enjoyed it – so the misses and flaws that i saw, fortunately they weren’t game changing. 4) When Tris and Four kill the simulation, they never take any hard drive from the computer – they just wipe the program. I think that’s going to be interesting how things play out since we know that the hard drive itself is something that people want in the coming book. 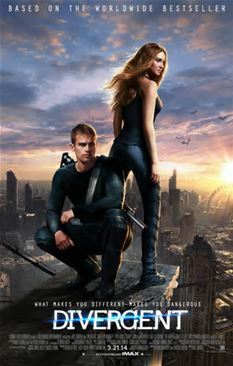 in the movie there were also a few liberties being taken, meaning that Four doesn’t point out that he noticed the Erudite bringing in supplies to Dauntless – no one realizes it until it’s almost too late – and it’s Tris in the book that connects the dots. I also didn’t think that Erudite would be so futuristic in the movie. given what we know of the city from the book, how Chicago was destroyed, i figured anything that was renovated would be nicer, but not futuristic. Any everyone had tablets – while in the book it was all about pages of paper being printed (remember when Tris tried to get her closure by throwing the articles into the Chasm). hat if your whole world was a lie? 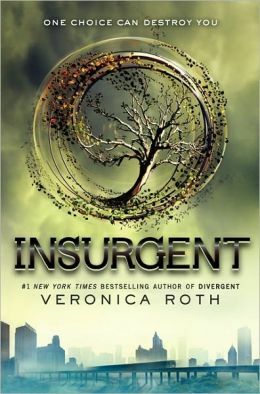 The explosive conclusion to Veronica Roth’s #1 New York Times bestselling Divergent trilogy reveals the secrets of the dystopian world that has captivated millions of readers in Divergentand Insurgent. Long awaited and quite the great read. I actually saw Veronica Roth on the Today show when I was about 1/3 of the way through and what she said during the interview threw me. She was asked about the response to the ending and how she got there and she said that she felt that it ended stories for characters as they should have been. I DISAGREE!!! i won’t provide spoilers, but i felt like i was back in the Requiem world where the ending didn’t quite do it for me. anyway, this third installment opens when we are in the midst of the factionaless overthrow and the factions all in chaos. We don’t know if it’s safe to believe Evelyn and what Marcus is up to. What we remember from the ending of Insurgent though is the video reveal by ‘Edith Prior’ and what that did to everyone. It meant that EVERYONE quickly realized that what they had been taught all their lives wasn’t true at all and they had to decide what to do next…and where to do it. So, we quickly learn that the factions (not the factionless under Evelyn) start to create the Allegiant – their own group of rebels with a cause of their own. to restore order and make things less chaotic. Among those Allegiant are some folks that we’re constantly reminded of – Joanna Reyes, Cara among others. They devise a plot for a group of Dauntless to get out of the fence, and see what’s on the outside – with folks that they have allegiances with out there. So Tobias, Tris, Tori, Cara, Caleb, Christina, Uriah and Peter plot to escape and do that. well, not all of them make it. Once they are outside, they reach contacts who turn out to be past dauntless that were presumed killed for being Divergent who take them to the Bureau of Genetic Welfar where the group learns a lot more than they ever expected. What i can’t get past though is the way that this story went and where it’s going. We learn about the purpose of Chicago becoming a faction system and being what it is, yet we don’t see into other cities that were created like it. We hear about what goes on out side of the fence and in the fringe, but we also don’t get to see what’s really going on there either. I’m let down by the ending for sure. i like how some of the story was resolved, but quite saddened by others. i’m sure you’ll know what i mean when you read it. LOTS of surprises and LOTS of anxiety. enjoy! 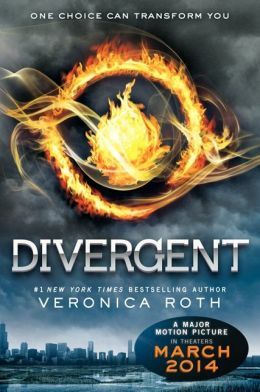 The first of four new short stories told from the perspective of everyone’s favorite Divergent love interest! I really enjoy when we get another POV on characters that we’ve come to know and love and be attached to. I think especially with Tobias/Four, we wanted to get some of the thoughts that went through his head when we had his Choosing Ceremony. I like the consistency here about his feelings towards Marcus and i love that we got to see some of the intros that were made from his POV with Tori, Zeke and some of the others. Several follow up books are due out in the coming weeks/months and as I’m eagerly anticipating them, i thought I’d get your opinions on which series you enjoy the most. I”m on the fence since i LOVE Divergent and Legend the most i think but i feel like there are so many good ones out there. What is your fav?